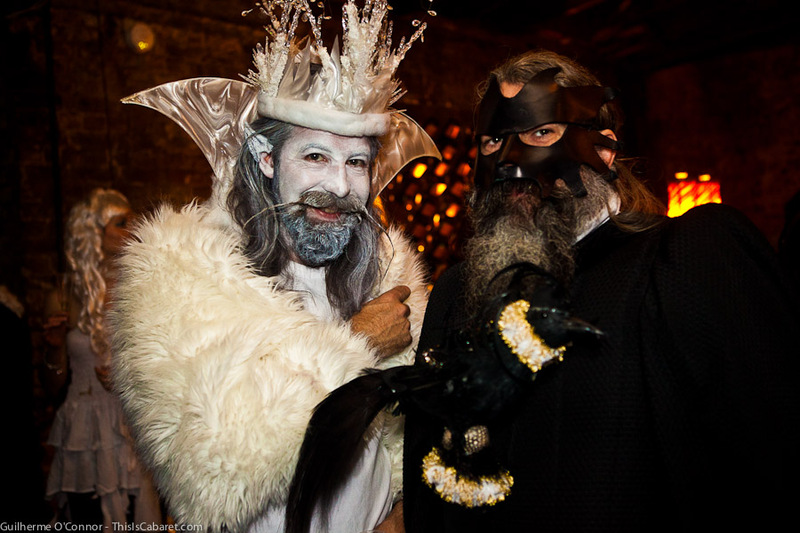 We have one pair of tickets for next weekend’s wildest event The Goblin King’s Masquerade Ball. For a chance to get your claws on them, read on. Held at the Coronet, this latest Ball celebrates the 30th anniversary of Jim Henson’s cult film Labyrinth as well as being a tribute to the Goblin King himself, David Bowie: “It is with bittersweet emotion that we gather this year to celebrate the life of The Goblin King after his tragic disappearance – an untimely vanishing from the many realms. He ruled with a stealthy claw and a fool’s heart, rendering us helpless to all he offered. His words touched thousands of lost souls whilst his music bewitched all. The Mortal world knew him by many names, but one stands out from them all – Bowie. We knew him as Jareth.” Ten percent of the profit made from this event will go to charities supported by David Bowie. There will be no chance to be maudlin, though, as there is a fantastic bill of cabaret to lift even the most sunken of spirits. Expect top-notch circus and sideshow hijinks from the likes of Snake Fervor (Double R Club, Lucha Britannia) and Hauk Pattison (Cabaret Boheme), music from the suave Arthur Foxaque and burlesque from Pearl Grey who came through the heats and won the 2014 Burlesque Idol contest with this particularly splendid routine. Full details of the acts can be found here. To be in with a chance to win the tickets, answer this question correctly. Answers should be emailed to win@thisiscabaret.com with the subject line COMPETITION-GOBLINKING. The winner will receive a pair of standard tickets to The Goblin King’s Masquerade Ball to be held on Friday 29 April. For full details on on the event, please see the official website. The competition’s deadline is 12pm on Wednesday 27 April 2016. This Is Cabaret will choose one winner by lucky draw and contact them by email with details on how to redeem their prize. By submitting an entry to this competition you confirm that you are at least 18 years old and have read and accepted our Terms and Conditions. If you’re not feeling lucky, tickets for The Goblin King’s Masquerade Ball can be purchased online (£25 each or £100 for five). Image: Guilherme Zuhlke O’Connor exclusively for This Is Cabaret from the 2012 Goblin King’s Masquerade Ball.